The Fisher Center for Alzheimer’s Research Foundation primarily funds two centers located in New York City. 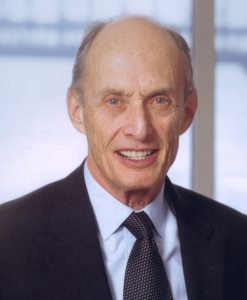 Paul Greengard, Ph.D. has directed the Fisher Center for Alzheimer’s Research since 1995. He has published over 1,000 major publications in the field of Alzheimer’s research. Dr. Greengard is a member of the National Academy of Sciences (NAS) and the American Academy of Arts and Sciences. Among his many awards and honors are the 2000 Nobel Prize in Physiology or Medicine, the 1997 Charles A. Dana Award for Pioneering Achievements in Health and the 1991 NAS Award in the Neurosciences.